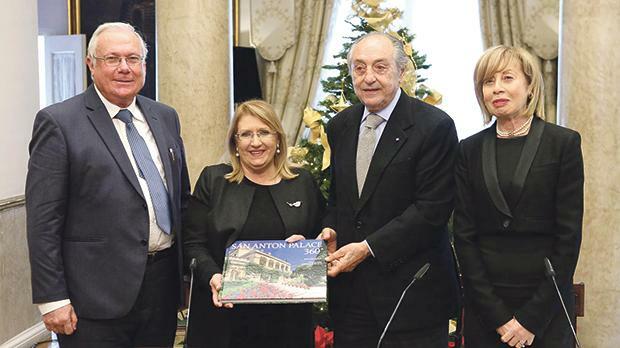 San Anton Palace 360o was recently published in aid of the Emanuele Cancer Research Foundation Malta, which was founded by the President’s Trust, the Fondazione Terzo Pilastro, Italia e Mediterraneo and the University of Malta. Seen here are (from left) the author, William Soler, President Marie-Louise Coleiro Preca, Emmanuele F.M. Emanuele and the marketing director at GlobalCapital, Adriana Zarb Adami.